A sugar addiction is every bit as real as an addiction to nicotine, caffeine and—according to recent studies—even cocaine. While you probably know that sugar is linked to obesity, and you have probably noticed how kids react when they have some, what you may not know is that, at our current rate of consumption, sugar is actually killing us. Research is now linking our high consumption—an estimated 16 percent of our daily caloric intake—with heart disease, type 2 diabetes (by way of obesity), high blood pressure, and even some forms of cancer. Kind of leaves a bitter taste in your mouth, doesn’t it? Due to issues with gestational diabetes and concern for our children’s future health, our family decided to experiment with completely eliminating cane and corn sugar, in all their forms, from our diet. What started as a spontaneous decision has become a lifestyle choice, and it has further opened our eyes to the very real danger our food system presents. For me, personally, I struggled for years with this odd feeling after breakfast that left me feeling shaky, irritable and with no control over my emotions. I can’t describe how horrible I felt—every little thing would set me off and leave me feeling drained and on edge. The only thing that would stabilize me again was—you guessed it—a dose of sugar. I now know that this is a classic sign of insulin resistance. With insulin resistance, your body will produce insulin, but your cells will not respond properly and utilize the insulin. As a result, your pancreas keeps making insulin until something clicks and your cells accept all that insulin. It results in a large blood sugar drop because there is excess insulin in your system looking for a job. Even when blood sugar levels don’t drop to a level that is considered low under normal conditions, your body may still interpret the drop as too low compared to its normal and you may experience all the symptoms of hypoglycemia, or low blood sugar. Interestingly, many of these symptoms are also shared with a condition you have probably heard of: ADHD. 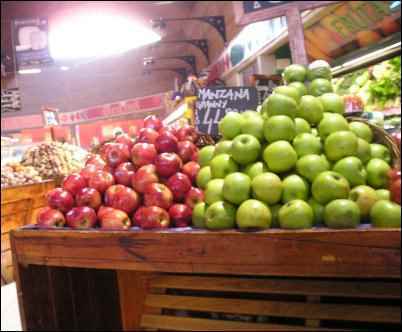 It is quite possible that many of the issues faced by those with ADHD are a result of our modern Western diet. You may find yourself keeping the sugar high all day long, with little bits here and there. I had to have sugar in my coffee, which I have throughout the day. That gave me my fix, so to speak, and kept my blood sugar more consistent—consistently high, that is. The sugar consumed at our current rate of 130 pounds per year per person is killing us. Sugar, like alcohol, is perfectly fine in small amounts, but when our intake becomes a significant part of each day, bad things start to happen. Excess sugar consumption, currently defined as anything more than 25 grams per day in all forms (fruit, honey, sugar), leads to obesity, lethargy, insulin resistance, pre-diabetes, and finally, type-two diabetes and heart disease. When you begin eating too much sugar, your energy levels will drop, your weight will increase, and your overall health will begin to decline. Eventually, your pancreas may get too overworked and just give up, leading to diabetes and all of its complications. While it is easy to discount diabetes as not being a serious disease, more people die from diabetes each year than they do from AIDs and breast cancer combined. There are other side effects to consider as well. Yeast, for example, loves sugar. Yeast infections are a common symptom of diabetes because the constant high blood sugar and reduced immunity of diabetes open the door for those little beasts to thrive. In both men and women, yeast infections on the skin and in the mouth are a classic sign of diabetes. I woke up one day and it just occurred to me that, like the smoking habit I kicked a few years ago, my sugar habit was going to hurt not only me but also my children. That is not the legacy I want to leave, nor the food habits I want to instill in them. So, that very day, we went through every food item in our house, checking labels for sugar in all its many forms, and setting aside every single item that contained any type of sugar. The results were staggering. Things I never imagined containing sugar did, such as summer sausage, my favorite potato soup mix, and even the hash browns we enjoyed in our low-carb breakfast every morning. To say we were discouraged would be putting it mildly. It isn’t like we ate a lot of bad or processed foods, but it seems as though if it is processed, it also contains sugar. The organic tomato sauce I use in soups, the black beans that we enjoyed regularly—even the peanuts we thought were a healthy snack for our children contained corn syrup, another equally bad sweetener. 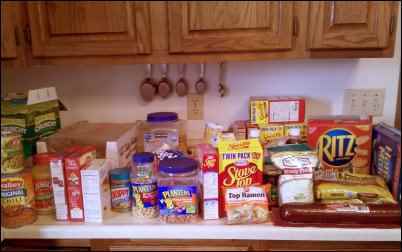 That day, after amassing almost the entire contents of our pantry on the counters of our kitchen, we packed it all up and quit sugar cold turkey. The one exception for me was in my coffee, so I opted for erythritol, a sweetener that has no glycemic index, meaning it does not impact blood sugar and occurs naturally in fruits such as pears and grapes. It is expensive, but trying to give up two vices at once would probably have had disastrous results, and I would like to stay married. Having quit smoking a few years ago, I expected something similar when we quit sugar. Surprisingly, even though I had been used to a steady amount all day long, I didn’t notice severe sugar withdrawal symptoms. For the first few days, I was more irritable, tired and shaky, but it was really not that intense. The hardest part was avoiding the cravings, but even that proved relatively uncomplicated. If you have ever quit smoking, drinking coffee, or any other of the tougher habits, you can probably handle quitting sugar without much issue. All in all, my sugar withdrawal symptoms lasted only a few days, and then seemed to completely disappear. We were still using honey, in small amounts, for our morning oatmeal, but other than that and the natural sugars in fruit, we had no sweets. The real struggle came the next time we went shopping. We already knew sugar was prevalent in processed foods, but the hard reality of that knowledge hit home when we tried to find alternatives in our grocery store. Sugar is a cheap additive to help otherwise bland, overly processed foods taste palatable. For that reason, if you want processed foods, you can expect to find some form of sugar in them. Our food industry is really letting us down on this one. Anyone who is looking for healthy, wholesome foods at the store had better steer clear of all but the outer perimeter aisles. That’s not to say there aren’t good, healthy alternatives in the processed food aisles, but they are few and far between and you really have to be determined to find the gold. My suggestion to you on your first sugar-free shopping trip is to start early and well fed, with a good dose of caffeine in your system, because you will probably be reading labels for quite a while. These are just a few of the more common ways food manufacturers label sugar in the ingredients list. Any food ending in “-ose” is a sugar and should be avoided, though reading all of those labels could make you comatose. The alternatives to cane sugar and corn syrup depend on how much of a purist you want to be in your life without sugar. If you think honey is acceptable in moderation, then you can have a few traditional treats in your diet, but I can tell you from experience that it isn’t necessary. When baking, honey can be used in equal amounts to the required sugar, or even slightly less. Honey is sweeter than sugar, and baked goods will be moister with honey. Cornbread with honey instead of sugar is delicious, but keep in mind that sugar is sugar, no matter the form, so if you are cutting back on carbs, you will need to be careful with honey consumption too. Instead of desserts, our family has come to really look forward to our evening fruit smoothies. While we were still sugar eaters, the thought of an unsweetened smoothie would not have held any appeal for me, but you know what? When you are used to eating sugar, you lose out on the subtle and amazing flavors that whole, natural foods contain. A couple of weeks after quitting sugar, I noticed that things started tasting different. A food with multiple ingredients, such as fried rice, for example, suddenly began to have multiple, individual flavors that made up the whole. It was like learning to eat all over again, and what an amazing experience to have missed out on all these years! Our salt intake has decreased too because we are better able to taste the flavors of our food. Somehow, sugar was masking all the natural goodness in our meals, and, boy, do I resent what it made me miss out on. 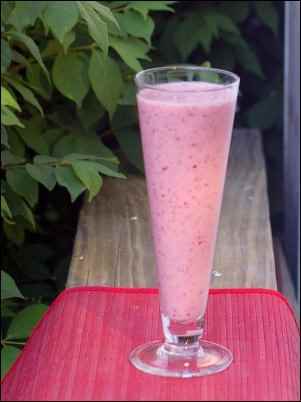 After dinner now, the whole family gets together for a fruit smoothie made with unprocessed frozen fruits, such as berries and peaches, along with milk, ice and occasionally a hint of vanilla. We have added in a little bit of kefir for even more health benefits, and we all enjoy our “dessert” together. It gives us the satisfaction of a sweet treat, without the guilt or health concerns of sugar and other sweeteners. Add everything together in a blender and process until smooth. Serve fresh on the porch and enjoy. When my sweet tooth really gets the best of me, I cut up an apple into small bite-sized slices, sprinkle generously with cinnamon, and snack away. It satisfies my sweet tooth as well as my urge to graze. For a great snack that keeps you full and satisfied, mix two parts peanuts (watch out for those corn syrup solids) to one part raisins. Once sugar is out of your system, look at your local healthy grocery for fresh peanut butter, or make your own by putting peanuts in the blender. The resulting peanut butter, though not as sweet as you’re used to, is sweet enough after your tastes adjust to a life without sugar. Dip celery sticks or apple slices in peanut butter for energy, protein, and a satisfying sweet fix. It’s a fact that a life without sugar requires a lot of dedication. I won’t tell you it has been easy for us, or that we’ve been perfect. As homesteading types, we are all used to doing things a little bit differently, though, and going against the mainstream, even if it means giving up foods, is part and parcel of the homesteading lifestyle. If we can wrangle animals, grow a garden on a patch of rock, and learn to make do when we might do without, quitting sugar isn’t too big a stretch in the scheme of things.